Today, I thought I’d share with you how I went from struggling through handwriting lessons to having fun teaching my kids how to master their penmanship skills. It’s true! Lessons that I once dreaded became something that I looked forward to. Once I realized that my curriculum was falling short of my expectations and my son’s interest, I knew it was time to change things up. When my second child began kindergarten, I struggled to find ways to make handwriting fun and engaging for him. This became a battle that consumed most of our school time. I would print out handwriting pages with adorable pictures on them. Yet, those cute practice sheets only distracted him from focusing on his letter strokes. Does this sound familiar to you? You’re over-the-moon excited to watch your kiddos explore handwriting. You’ve got your practice pages printed out and ready to go. The brand new number 2 pencils are all laid out on the table. It’s time to get started on that first letter. Students pick up their pencils and that’s where everything goes terribly wrong. Talk about handwriting without tears! Just as they get ready to trace that first letter, that darling little apple next to letter A catches their eye. All the sudden, they feel compelled to color that apple a shade it so rightly deserves. Next thing you know, there’s a whole forrest of exotic apple trees in every shade of graphite imaginable. Surely, any thought of tracing letters has completely fleeted. I know the story all too well. I’ve been down those rabbit trails that only led to hours of frustration. I’d try to reign in our focus back to the lesson, but that would only end in a fight. Afterwards, I switched to a full-size practice sheet with letters only – no pictures! Although the month before he had no problem scribbling down on those pencils like some kind of ninja, all of the sudden he complains that it hurts to lift up a pencil. Those poor little, weary hands can only handle so much. I guess I could’ve done a better analysis on his fine motor skills and yeah, tracing twenty-six A’s might seem a little intimidating for a youngster, but most importantly the lessons were not fun or engaging. Without student engagement, mastering skills for long-term success is nearly impossible. Handwriting was beginning to take up too much of our schooling time. I was not realistic with my expectations or my schedule. At the time, I was learning how to juggle a newborn, a toddler, and two homeschoolers. I made quite a few mistakes and hit a few roadblocks. It was time for me to be intentional with my time. I needed to have a complete handwriting curriculum. One that would work for me and not against me. One that would conveniently optimize my teaching time and didn’t take me down rabbit trails of unforeseen adventures. A multipurpose curriculum that took advantage of closely related English studies, rather than requiring a separate time to teach handwriting exclusively. I so badly wanted to find something that met all these needs, but before I go any further let’s discuss why handwriting is so important. Handwriting is the foundation of English literature. If this necessary prerequisite to writing is not mastered, learning other areas of writing such as spelling, punctuation, and composition can become more challenging for the student. That is because these milestones progressively build upon each other. Whatever type of foundation that is laid for teaching penmanship, whether it be weak or solid, it will potentially have a lasting influence. 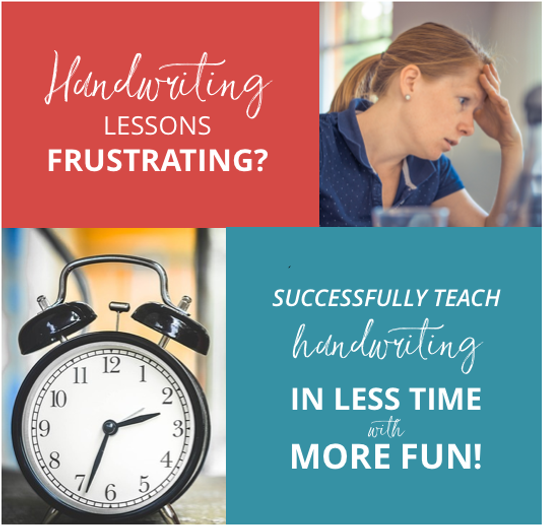 We could ask any first grade teacher why automatic and neat handwriting is essential, but let’s summarize the immediate and long-term benefits of perfecting this skill. The act of handwriting itself instantly allows for a deeper learning experience with cognitive benefits and neurological connections that aid children with retaining new information. Excellent handwriting boosts the child’s learning experience as they complete their first accomplishments in literacy. This leaves them with self confidence in their writing abilities. It takes a lot of time and energy for kids to perfect their strokes and placement. Once letter formation becomes fluent, students can use that focus and energy, previously dedicated to penmanship skills, towards encoding words and structuring sentences. Going through the next progressive lessons in literature will come much easier than if the penmanship skills had not been fully developed. Legible handwriting supports all other subjects of education as well. As student’s handwriting becomes neat, they have the ability to complete student self-assessments. Proofreading composition and reevaluating math equations are possible for a child to do, as soon as they are able to read their own handwriting. Children will learn later that the faster they write, the more quickly they can brainstorm ideas and allow those creative juices to flow that come exclusively from pen and paper. Earlier on, they will see how quickly writing enables them to easily form sentences and write out the letters they sound out for spelling. Fluent penmanship prevents constant pauses and distraction that break up the flow of writing and spelling. Now that we’ve covered the benefits of excellent handwriting skills, let’s go over the tell-tale signs of insufficient penmanship skills. First and foremost, poor handwriting practice leads to more than your average letter reversals. Once incorrect letter formation habits are learned, they are difficult to reverse. This also lowers the child’s self-esteem and therefore questions their ability in writing all together. When handwriting is not fluid, students aren’t able to focus and brainstorm as well, resulting in spelling errors, lack of creative writing, and slow progress. These are all possible symptoms of unsatisfactory results. 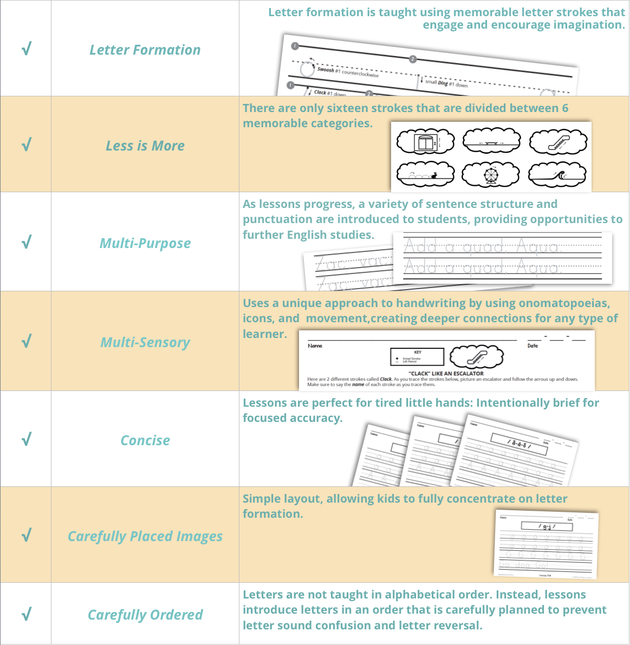 We want what is best for our students, so let’s reconsider whether our handwriting curriculum is rigorous, yet kinder-firendly enough to perform our expectations for a successful writing foundation. Here are my thoughts on what a curriculum of that nature would look like. 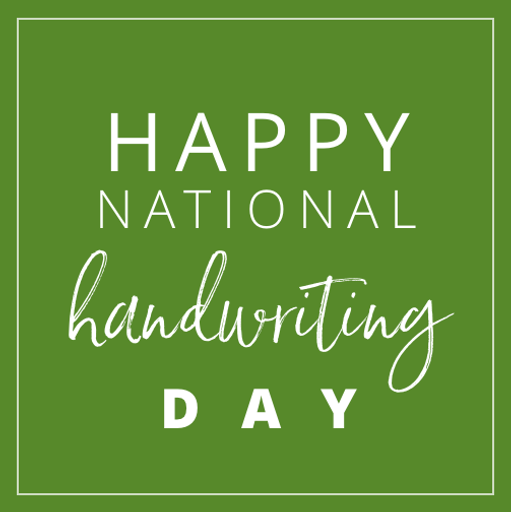 After scouring the internet for the ultimate handwriting program, I found three that were my favorite. Rhythm of Handwriting by Denise Eide, Spelling You See Level A: Listen and Write, and Handwriting Without Tears. Although I admired each of these products in one area, they all fell short in another area that I was searching for. Spelling You See did a great job at multi-purposing each lesson, providing an opportunity to learn to spell and read while working on handwriting, but I felt that it wasn’t focused on handwriting enough for my children to truly master it. I enjoyed the way that Rhythm of Handwriting broke down each letter into individual strokes and provided a script to describe each movement, but with over 35 different strokes to learn it became overwhelming. Handwriting Without Tears was my favorite of the three. Their lessons were concise and engaging for the kids. I only wished that the lessons expounded on being more multi-sensory and that it had less pictures that would distract during crucial times of forming letters. I continued to search for more ways to make my handwriting instruction time more productive and interesting all at the same time. Before finding the ultimate handwriting curriculum, I first decided what I expected and desired in one. ✔️ Letter Formation: I believe that letter formation should take precedence of the overall curriculum. It is just as important that kindergarteners are able to easily identify the direction and strokes that make up each letter. ✔️ Less is More: Breaking down each letter, number, and/or shapes into different strokes help children understand how they are formed, however the less strokes that children have to remember the better. ✔️ Multi-Purpose: With so many benchmarks that need to be met by the end of kindergarten, I needed my handwriting lessons to provide opportunities to teach other aspects of literauture. 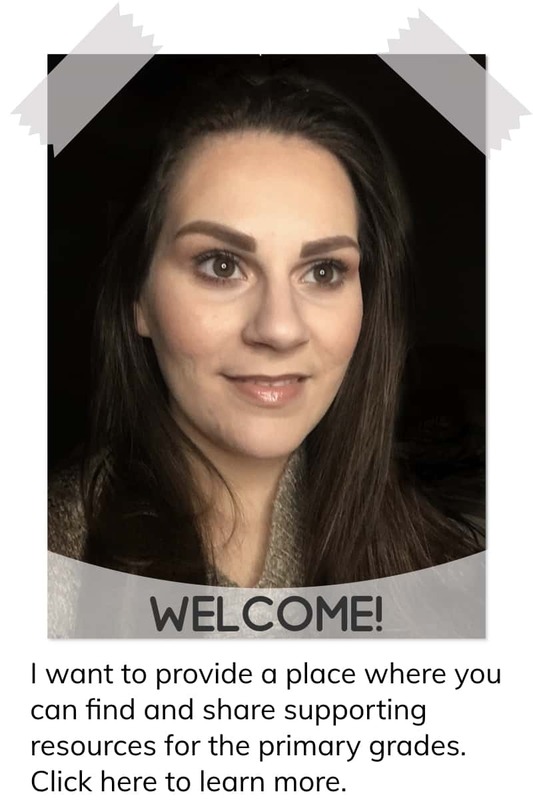 ✔️ Multi-Sensory: My son is an audible learner, so I really needed a curriculum that would incorporate an auditory experience as well as a kinesthetic and visual one. ✔️ Concise: Giving students less to trace is not only less stressful for them, but it also allows them to focus on how those letters are correctly formed. It’s far more effective to perfect the direction and stroke of each letter one at a time, than it is to write a letter incorrectly again and again . 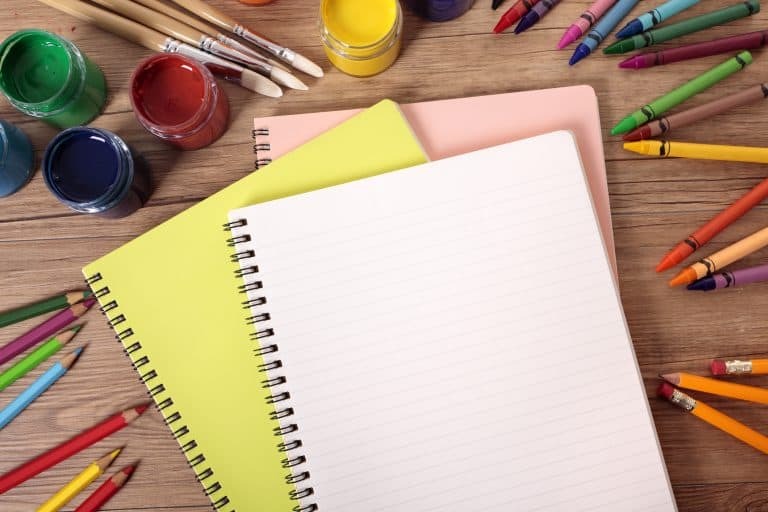 ✔️ Carefully Placed Images: Images are a great way for visual learners to be taught, but it is much more proactive for those images to be used as a reminder of something related to the task of handwriting. Since letter formation requires so much concentration, they should still be used sparingly. ✔️ Carefully Ordered: With so many letters and numbers that look the same and sound the same, I though it would be important to intentionally teach letters in an an order that would provide the least confusion. Great question! It wasn’t easy. I did a ton of research and continued my hunt. Needless to say, I decided to create my own handwriting curriculum in the end, but don’t worry! I’ve made it available for you, too. Mark your calendars! On Valentine’s Day 2 the handwriting curriculum that I know you and your students will LOVE will be available at half price for the first 48 hours. This is just the first of upcoming handwriting curriculums to come. This one will focus strictly on writing in manuscript. (Keep a look out for cursive and D’nealian packets.) So, get ready and mark those calendars because it’ll be here before you know it. The complete Ready? Get Set Go! Print™ packet will be available on Valentine’s Day! But you don’t have to wait until then. You can try it now. In the mean time you can download the first four lessons for FREE by clicking here. 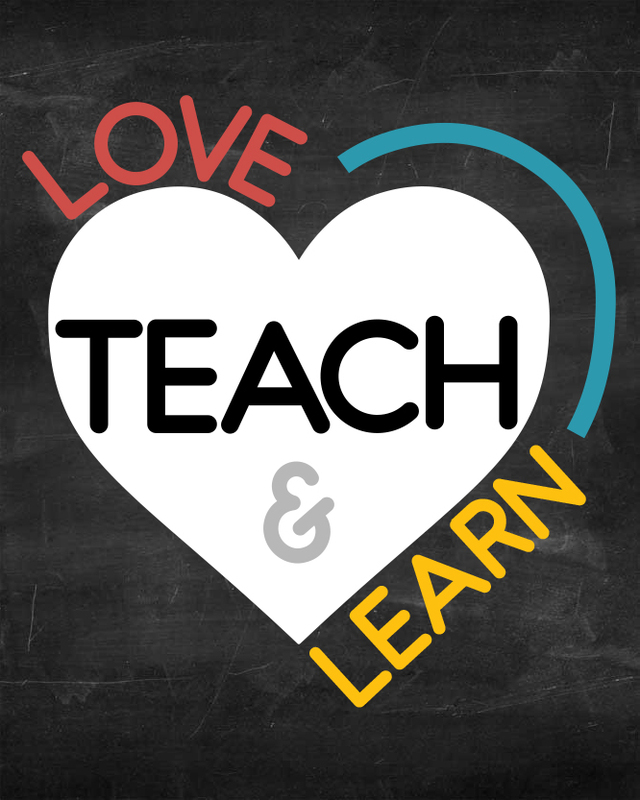 This will give you the opportunity to see if you feel whether or not you would like to try out this curriculum and see if it works well for you and your class. Take a look at the chart below to see a peak of what will be inside your downloadable Ready? Get Set Go! Print™ Freebie. Is there something that you could use in your handwriting lesson? Did I missed anything? Is there anything that you’ve always wished to see in a handwriting program? Let me know in the comments below.